The only time Jesus told us to “wait around” was when he said to wait for the Holy Spirit to empower us. That’s excellent advice. We shouldn’t be trying to do this alone, because only God can make the complexity of spiritual reality truly clear to someone. So let’s not wait for someone to come to us. Let’s take the good news to our friends, our family, and the people around us. If we’re going to be active participants with the Holy Spirit, we shouldn’t be sitting around passively waiting for something to happen. I’ve put together a list of six questions for you to prayerfully consider. These aren’t questions to haphazardly brainstorm. Remember, we’re meant to do this in community with one another and the Holy Spirit. So, as you sit down to consider each question, be sure to do it in a spirit of prayer, and if you choose to do it with other believers in your family, church, or neighborhood, all the better! 1. Who in my life needs Jesus? Spend some time praying about the people who you know, whether nearby or far off. Who do you know and care about who aren’t followers of Jesus? 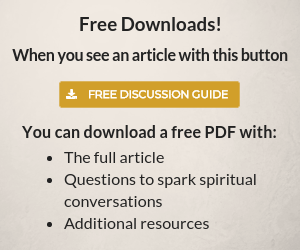 Are there people who seem interested in spiritual things but never quite follow through? Who does the Spirit bring to mind when you ask who needs to know God? Try to make a list of at least ten people. They can be acquaintances or close friends, family or coworkers, neighbors or social media connections. Make the list, and then look at it occasionally, reminding yourself who you’re wanting to share God’s love with. 2. What are their deepest needs, concerns, and questions? Remember how Jesus started his evangelistic conversations with the deepest needs of the people he interacted with? Knowing what someone’s concerns and questions are can help us start a conversation in the places that are most important to them. If there are people from your list who you want to share with, you can start with these sorts of questions. You’re about to talk about your spiritual lives, which is one of the most intimate possible topics. A good warm-up may be talking about what their needs, worries, and questions are. To communicate clearly and well requires vulnerability, and to communicate the good news requires both vulnerability and compassion. The topic of your friend’s deepest needs and concerns is a good place to warm up and practice. You’re reading from Good News for a Change. Click the book to learn more. 3. What is the best “signal” to communicate the good news to them? So now you know the message well, and you’re learning to translate it in your words. The question here is, what is the best mode to communicate with this person? Is there a tool that would be helpful? If they love movies, maybe there’s a movie that would help get the message across. Maybe this person will hear the good news best in community, so what’s the best way to bring them into church or a youth group or Bible study or just to hang out with other Christian friends? Basically, if you get a chance to choose the signal, what would be your first choice? How can you prepare yourself to be ready to go with this particular signal? What signal would be the worst? 4. How can I learn their “language” better? How do I best translate the good news? Whether it’s a Brony or a Belieber, a Hindu, a Buddhist, or an atheist, how can you better get to know them, their worldview, and their vocabulary and looking at the world? If you’re going to be a fluent translator, you need to be fluent not only in the jargon and language of the church but also in their jargon and language. How can you do that? What do you need to read? 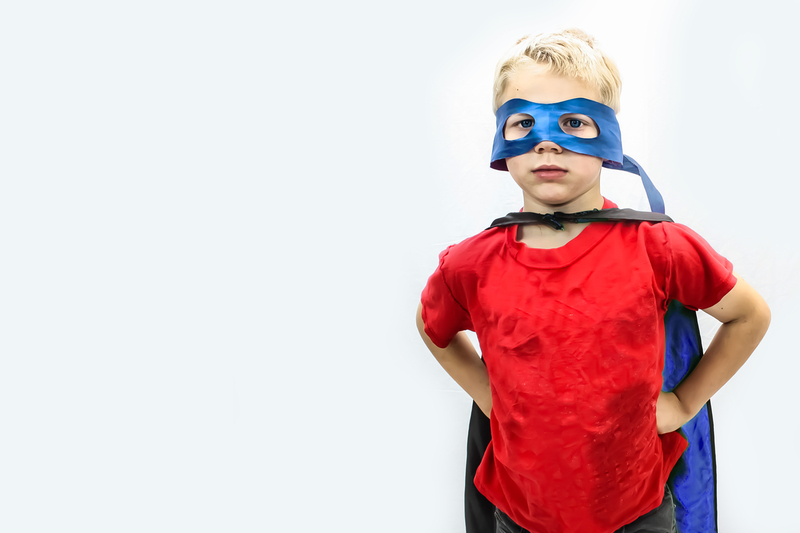 How can you grow into an insider in their community? One note I’d share on this one: Take your time, and learn the language. Fluency takes time and practice. Spend time really learning, not trying to teach. 5. Pray for opportunities to share the good news. Ask God for specific chances to share the good news both with people on your list and with strangers or those who have not yet come to mind. 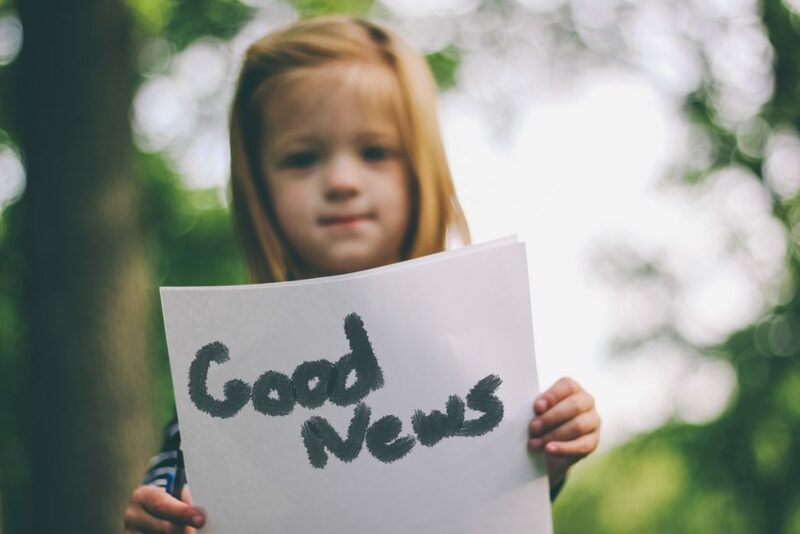 Pray specifically and with time limits, like this: “God, please give me an opportunity to share the good news with Ted in the next ten days.” Be watching for the opportunity, expectant. When it comes, jump on it! 6. Take the initiative to share the good news. Taking the initiative to share the good news doesn’t necessarily mean you have to run alongside a chariot and ask someone what they’re reading (I mean, it could, but not necessarily). It means you are looking for opportunities to start a spiritual conversation, not just waiting for one to fall into your lap. This could be as simple as saying, “How are you doing?” or “Can I have a glass of water?” We don’t easily move into good conversations about the good news without showing interest in and engaging with people. Be the sort of person who notices and engages other people. “Taking the initiative” means one simple thing: Be the first one to speak up about spiritual things. Do it appropriately and with kindness, and know this will most often make people love you more, not less. It’s nice to know that people care. I’ve done a lot of evangelism trainings for college students. At some point, someone always asks, “I thought I was supposed to stay away from all the parties and sinners because I’m a Christian.” In other words, “Shouldn’t I stay away from all the darkness and evil in the world?” To which I always say, “The light shines brightest in the darkness.” This is why Christians are beloved in many places in the world—where things were bleakest and most hopeless, someone showed up with the light of Christ. We don’t need to avoid the darkness. Those places which are the most frightening and dangerous, the most corrupt and evil, are in the greatest need of our presence. When people see us as strangers, Bible thumpers, and Jesus freaks, it’s most often because we’re failing in our role as translators. Of course we seem like foreigners when we speak some other language. Of course we seem like Bible thumpers when we enter into conversations without love. Certainly we seem like freaks when we ignore the deep needs shared with us and gloss over them so we can say the name of Jesus faster. The end of the matter is this: If we truly love God, we’ll want to tell others about him. I believe you do love him, and despite any fear or worries you may have, you honestly want to tell others about him. Likewise, if we truly love others, we’ll not only want them to live the better life available in Christ, we’ll gladly do the extra work of telling them all about it in their language. 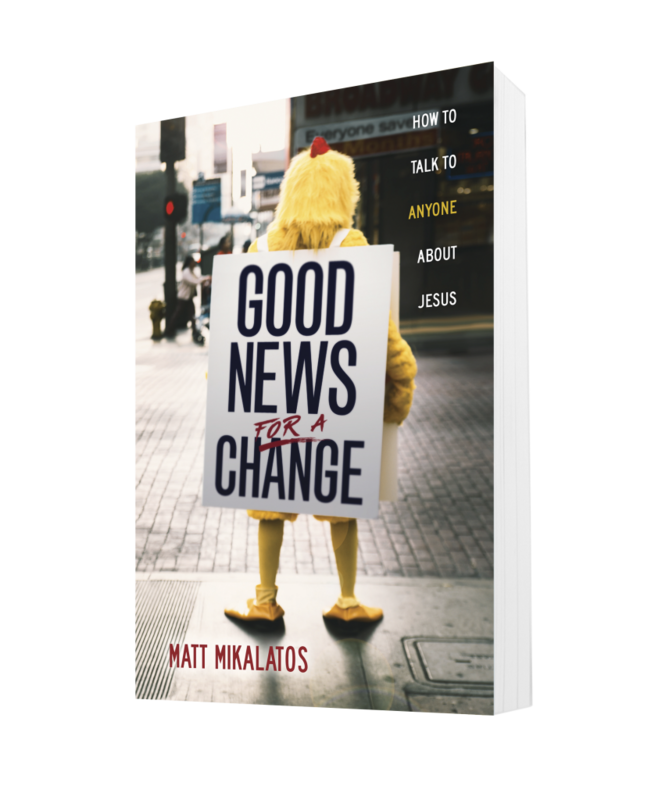 You’ve been reading with Matt Mikalatos from his book Good News for a Change: How to Talk to Anyone About Jesus. Read more free chapters at goodnewsforachangebook.com. Invite Matt to lead an evangelism workshop at your organization or watch video of him speak at goodnewsforachangebook.com.